At Data Select, it’s crucially important for us to provide our customers with a market-leading service. Throughout our five-year relationship, Parcelforce Worldwide has delivered on our customer promise, securely and reliably. We receive outstanding levels of customer service and support, making Parcelforce Worldwide an absolute pleasure to work with. Reliability and quality of service are our hallmarks – so you can trust us with your business parcel deliveries. Plus, enjoy a personalised service, thanks to a dedicated Account Manager who’s on hand to help you feel welcome and get the most out of your account. 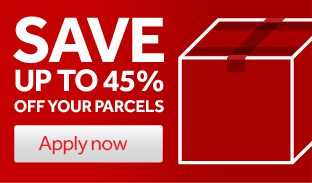 Parcelforce Select... improves your online experience by offering your customers more business or consumer delivery options than ever. It sends your customers notifications on the day before, the morning of delivery and a one-hour timeslot.